In our seas and oceans, everything is connected. Slight changes in some places can trigger larger events elsewhere: it’s the Butterfly Effect. Take the Great Barrier Reef for instance. In this extremely diverse and complex system, it’s clear every actor plays a role in the survival of other species. The corals provide shelter by blocking storms as well as allowing small animals to escape their predators. Fish from various sizes feed on each other, and turn one’s waste or pest into another’s food. The result of this fragile balance is an underwater functional system the size of Japan which displays an explosion of colour and diversity in species found nowhere else. But these connections in the World Heritage waters take place on a small scale when you compare them to the connections happening in the mighty Pacific Ocean, a body of water that covers one third of our planet. How come the absence of anchovies in the waters of Peru sends a chill down the spine of salmon farmers in Canada? And to what extent is it linked to the health of the six billion dollar tourism industry of the Great Barrier Reef in Northeast Australia? Even though thousands of nautical miles across the Pacific separate these different places, two words are enough to answer the question: El Niño. The notorious weather phenomenon was named after the Christ child, because its pattern tends to peak around Christmas. In a “normal” year, when La Niña is in place, easterly winds in the Pacific push warm waters to the West, creating the wet season in Asia. When these common winds collapse, as it is happening at this moment in 2014, the cold waters cannot be drawn up in the Eastern Pacific. The spread of the equatorial warmth gives birth to El Niño. Once the male child is woken, nothing can stop him. A few weeks ago, specialists were announcing a 75-80% chance of a moderate to strong El Niño event for the upcoming winter of 2014-2015. The percentage has since been lowered, but it’s impossible to predict how the weather will react to this year’s abnormal event. The fishermen in Peru are usually the very first people in the world to experience the changes. Every three to five years, the ocean’s unusual heat prevents the anchovies to swim in shallower waters. The tonnes of uncaught small forage fish in South America will impact the global price of aquaculture food, which means higher costs for fish farms such as salmon producers in Canada. The effects can be even more dramatic for the Great Barrier Reef’s ecosystem. 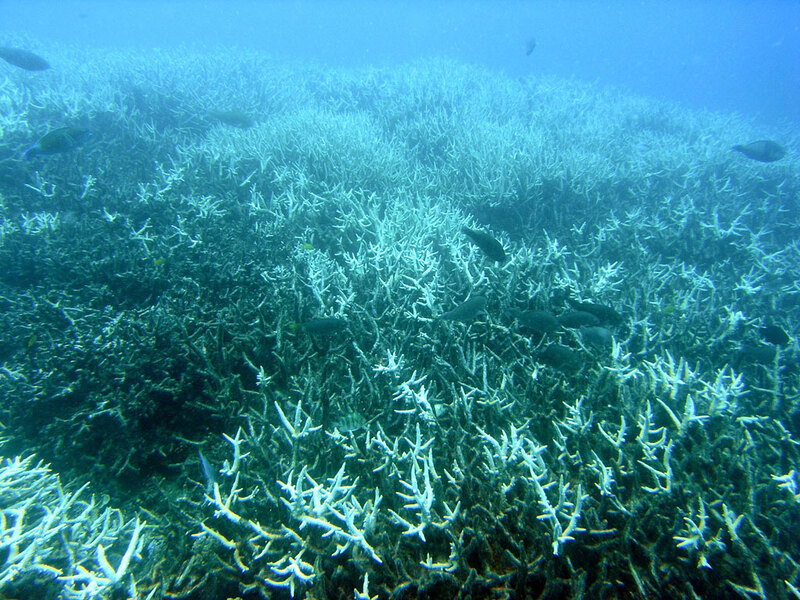 During both El Niño winters of 1997-1998 and 2001-2002 (summers in the Southern hemisphere), the two worst events of mass coral bleaching to ever be recorded occurred. But what happens exactly when corals lose their colour, and is it reversible? 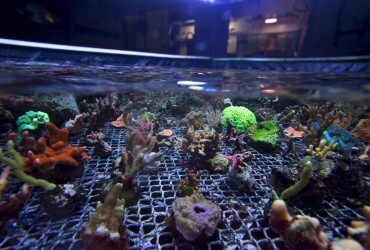 Corals are part plant, part animal. The sac of each coral polyp contains a one-celled algae called zooxanthellae. Through photosynthesis it fixes carbon and produces sugars for itself and the coral, giving off oxygen. But in warmer waters its metabolism speeds up and it gives off too much oxygen. The animal part thinks it is being poisoned and expunges the algae. It’s the algae that gives the coral its colour, hence the bleaching. Corals can survive a bleaching event, because not all their food comes from the plant part. But often they die, and the area is taken over by seaweed. El Niño is a natural event, its effects have been influencing the world for thousands if not millions of years. Species have adapted, and corals are able to recover from these temporary warmer patches for as long as other strict conditions are met. One of them is water quality. Northeast Queensland is one of the most farmed places in Australia. Its warm weather, topography and fertile soil make it ideal to grow crops, especially sugarcane. Over the past decades, this industry has unfortunately been responsible for massive fertilizers and herbicide run offs that wash away in the neighboring waters of the Great Barrier Reef Marine Park. 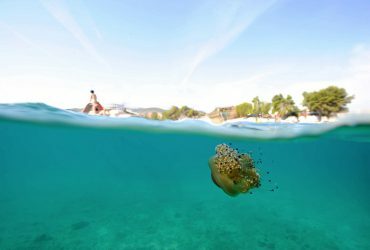 An important decrease in water quality has been reported year after year and is held partly responsible for the Reef’s current poor health. Recently, however, efforts have been made to reduce these agricultural runoffs, thanks to programs sponsored by the local government, NGOs and international organisations. “One of the main issue that is affecting the Great Barrier Reef is the water quality”, Tim Badman told me on a hot summer afternoon at the IUCN headquarters in Gland, Switzerland. Badman is the World Heritage Programme Director at the International Union for Conservation of Nature, the organisation responsible for advising UNESCO on natural World Heritage Sites. He knows the Great Barrier Reef very well, having been there himself, and for recommending actions over the past seven years. 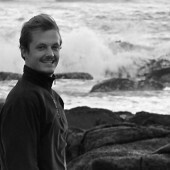 “In marine work in coastal areas, everything is interconnected. Water quality is a set of issues that has to do with a very big catchment area. So in that way, some of the biggest long terms issues that Australia is starting to tackle for the improvement of water are about investments and activities that are almost all happening outside the Great Barrier Reef Marine Park. So in a funny way, you can say that one of the largest World Heritage area, bigger than Italy, is impacted by activities outside of its boundaries. Even if the site is big, you have to think much bigger. What can potentially be extremely good news is that according to the latest monitoring evidence, there is a chance to turn the corner in terms of water quality. We are sort of at the bottom of the curve, if that can be sustained,” he explains. It seems that multi-million dollar programs to reduce rich sediment runoff are starting to make a difference. On the website of “Project Catalyst”, which the WWF shares with Coca-Cola, the partnership’s goal is proudly displayed: “to preserve the Great Barrier Reef through innovative farming practices. Project Catalyst seeks to test and validate practices that are good for farmers and also good for the Reef”. An improved water quality means a more resilient reef, capable of surviving events such as El Niño and maybe a long lasting rise in sea temperatures. Nonetheless, these costly efforts could be sabotaged in the near future. 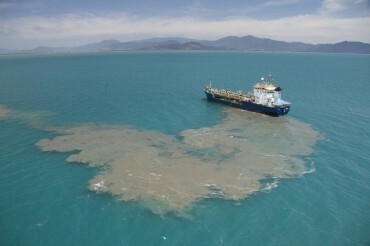 True, the wildlife in the Great Barrier Reef Marine Park has lately been spared the dumping of three million cubic metres of dredge spoil. 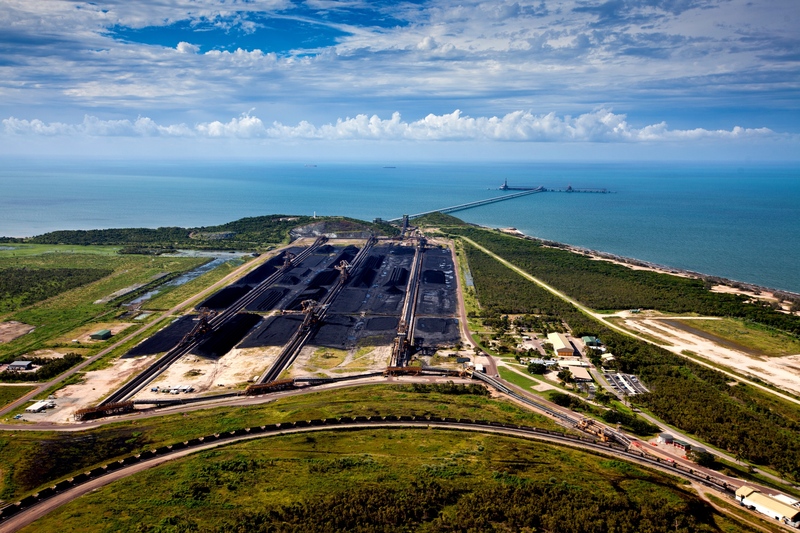 In the previous chapter, you read about the expansion of the Abbot Point coal terminal and the plans to increase the port’s depth to allow the mooring of big ships. Initially, the dug up sand and clay were supposed to be dumped offshore in the World Heritage site, possibly creating and underwater “fog”. 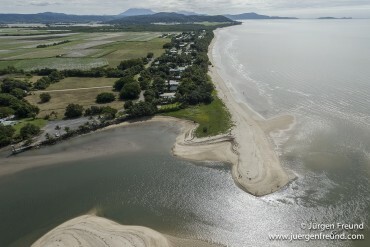 Following the public’s outrage, the Queensland’s cabinet has recently announced that the sediment will be turned into landfilling after all. Once again, potentially extremely good news, especially since an article in Independent Australia revealed that the deposit planned to be dug up contains high levels of toxic waste such as paint residue. The Australian company that is responsible for this waste has been found guilty of committing environmental offences and was fined $195’000. So the corals and sea grass beds were spared these three million cubic metres, but the Australian Marine Conservation Society reminds us that there are still plans along the coast of dredging and dumping one hundred ton of sediment. Enough to seriously impact the quality of the water in the Marine Park. On both calm and windy days, the bulk carriers need to navigate the dangerous waters of the Great Barrier Reef Marine Park to reach their port of loading. Official routes have been imposed to avoid “green zones” where no human activity is permitted. In July 2014, the captain of a Chinese bulk carrier was found guilty for taking a shortcut to Abbot Point coal terminal. He was fined $85’000, and entered the book as the fourth captain since 2010 to take an illegal route through the park. An average of one every year. All these activities impose a serious threat to the water quality of the World Heritage natural site, and therefore to the reef’s resilience against naturally destructive events. Whether we like it or not, these commercial activities are bound to happen. In one way or another, Australian coal will have to be shipped overseas. And the predicted numbers are staggering. This fossil fuel has been mined in the Northeast state of Australia since 1846, and in the financial year of 2012-2013, Queensland alone exported 179 million tonnes worldwide. This number will quickly take a huge leap forward with the recent federal approval of the Charmichael mine in July 2014. The soon to be largest coal mine in the Southern Hemisphere is set to yield around 60 million tonnes of coal every year, all by itself. Greenpeace claims it will produce four times the carbon emissions that New Zealand currently does. A single company will be in charge of this mega mine: Adani. Adani is Indian’s largest energy group. It plans to build and run the railway to transport the coal extracted at Charmichael’s mine, as well as expand and run the coal port at Abbot Point. 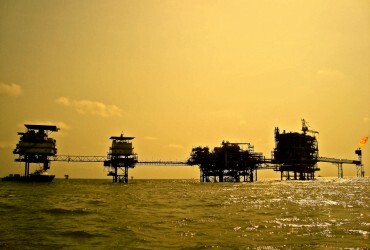 The problem is that the company is facing several multi-million dollar fines in India for environmental breaches during a port development in Gujarat. Among other things, it appears Adani’s activities destroyed a mangrove ecosystem between 2001 and 2012. Indeed, renewable energies are being favoured around the world, especially in China these past months. Tired of the visible filth that is poisoning Chinese citizens by the thousand in many of its cities, the government in Beijing started actively working on cleaning the country. It even issued a draft legislation last week limiting the use of imported coal. Bad news for Australia who exports most of its coal to India, Japan and China. Unmoved by China’s will to go greener, the Abbott’s Government in Australia seems to go even darker. Not satisfied with allowing the exploitation of the Charmichael mine and the expansion of Abbot Point’s coal port, the prime minister succeeded in realising his electoral promise: the removal of the carbon tax. Australia has become the very first developed country to do so. In confirming that it didn’t want this extra cost to the Australian’s everyday life, the government affirmed once again its climate change denialism position. Big polluters in Australia will not have to pay for their polluting emissions. Furthermore, to lower the country’s national debt “for future generations”, massive budget cuts were announced. It comes as no surprise that amongst the biggest losers are the environment and science sectors. For example, the GBRMPA (Great Barrier Reef Marine Park Authority, see second chapter) will see its budget cut by $2.8 million over four years. The Reef Water Quality Protection Plan and the Institute of Marine Science will also be crippled by budget cuts. For the Australian’s government, these are apparently not matters that need to be financed for future generations. Surprisingly enough, all these mega industrial projects that are being allowed around the most famous World Heritage Area are meant to be strictly monitored by national agencies. The agreements are often accompanied with dozens of severe rules so as to make sure that the surrounding environment is not negatively impacted. A report following the disaster at Gladstone Harbour (see second chapter) revealed that only 10 staff monitored 800 environmentally-sensitive projects across the country in 2011. One can wonder what this number will be after the budget cuts. “A second report issued a few months ago found that federal environmental conditions are very rarely properly enforced”, Larissa Waters confirms. The 73 page report concludes that “the Queensland environment department is not fully effective in its supervision, monitoring and enforcement of environmental conditions and is exposing the state to liability and the environment to harm unnecessarily”. Huge industrial developments are taking place next to a unique marine environment, accompanied by all the risks it implies. The projects will be managed by a seemingly unreliable foreign company and the supervision will be made by a state department proven to be incapable of doing just that. It seems like a lot of trouble for digging up tonnes of unpopular fossilized carbon on a collapsing worldwide market. Nowadays, it’s not only in the marine world that everything is interconnected. Most butterflies are beautiful, but their effects can be devastating.